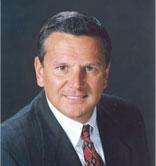 Gary is currently the Executive Chairman of Acosta Sales and Marketing Company in Jacksonville, Florida. Prior thereto, he was employed by Acosta in various capacities since 1983. Acosta is a leading full-service sales and marketing agency, providing outsourced sales, merchandising, marketing, and promotional services to manufacturers in the consumer packaged goods industry. The company represents more than 1,600 manufacturers and services more than 120,000 traditional grocery stores, mass merchandisers, club stores, convenience stores, druge stores, and natural food stores, as well as the wholesalers who serve these same channels. The company employs over 12,000 associates and operates over 64 offices in the US and Canada. Gary has served on the Board of Directors of the Grocery Manufacturers of America (GMA) and is currently serving on the GMA Industry Affairs Council. He has served on several Advisory Boards for consumer products companies represented by Acosta and serves on the Board and in other capacities for numerous non-profits. Gary received the 2001 Ernst & Young Entrepreneur of the Year Award for the State of Florida in May 2001, and was named to the Supermarket News Power 50 list from 2003 to 2009. He is a graduate of the University of New Hampshire. Mark currently serves as Senior Vice President of Industry Relations and Chief Collaboration Officer for the Food Marketing Institute (FMI), responsible for engaging retailer, manufacturer, supplier, and service provider CEOs to further trading partner collaboration, leading to operational improvements and growth opportunities across all segments of the food retail supply chain. Prior to joining FMI, Mark was Managing Partner of MARCAT Group LLC, an independent consulting/advisory firm specializing in business, market, channel, and consumer development. He previously was Partner and Managing Director of the CPG practice at Diamond Management & Technology Consultants, Inc. Prior thereto, he was Executive Vice President of the Grocery Manufacturers of America (GMA) and the President & CEO of the Association of Sales & Marketing Companies, which merged into GMA in 2002. Mark is recognized as one of the leading experts in the management of strategy, sales, marketing, and merchandising activities in the food, beverage, and consumer products industry. He has also been one of the chief architects of the industry’s Global Technology Initiative. Earlier in his career, Mark served as vice president, sales and marketing for Retail Insights, a division of Progressive Grocer Associates – producers of Supermarket Insights, Convenience Store Insights, and Restaurant Insights – and earlier, held various management positions at Food Distributors International. Mark’s career in the food, beverage, and CPG industry spans over 25 years and began at Paragon, a candy and tobacco distributor in New York. He currently serves on the board and in other capacities for numerous non-profits. Mark has a BA in Economics and Public Administration from Oswego State University (NY) and completed graduate work in marketing and organizational development at Marymount University. Derek is currently President of Andros UK, a sales and marketing company in Britain dedicated to the distribution of fruit-related products in the chilled dairy industry, drinks, and conserves. He is Executive Chairman of SalesOut, which delivers “actionable insights” to the FMCG/CPG industry, analyzing sales data to highlight problems and opportunities and providing solutions for businesses. This also incorporates SalesOut North America. In addition, he is Chairman of three other UK entities and is a member of the Advisory Panel of Devonshire Corporate Finance (a financial entity). Derek’s prior experience includes service as CEO of a food sales, marketing, and merchandising company publicly traded on the London Stock Exchange. Derek is a member of the GMA Sales Agency Committee. He has served as President of the European Sales and Marketing Association, is a Council Member of the Institute of Directors in the UK, and is a university-qualified Executive Coach lecturing at Chester University and coaching Boards and Executives of UK companies. Derek was awarded the Chevalier dans L’Ordre du Merite by French President Mitterand in 1995 and has active service medals as an officer in the Volunteer Air Force. He has a Masters degree in Economics from Cambridge University in the UK and a Bachelor of Commerce degree from the University of Cape Town in South Africa. 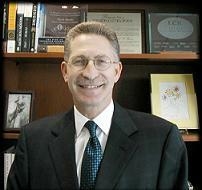 Barry is Managing Partner of the Washington, DC, based law firm Maloney & Knox, PLLC. He has been General Counsel to the Sales Agency Committee of GMA and its predecessors, the Association of Sales & Marketing Companies (“ASMC”) and the National Food Brokers Association (“NFBA”). He is also General Counsel to the Foodservice Sales & Marketing Association (“FSMA”) and other trade associations primarily representing sales and marketing companies. Barry is a CPA and was the Senior Branch Attorney at the US Securities & Exchange Commission and Special Counsel to the US Economic Stabilization Program during President Nixon’s administration. He has provided legal counsel to sales and marketing agency trade associations and their members and is the author of several sales agency legal treatises, including the ASMC Legal Manual and ASMC Legal Forms. Barry holds a Bachelor of Science degree from Georgetown University Business School and a Juris Doctor from George Washington University School of Law.